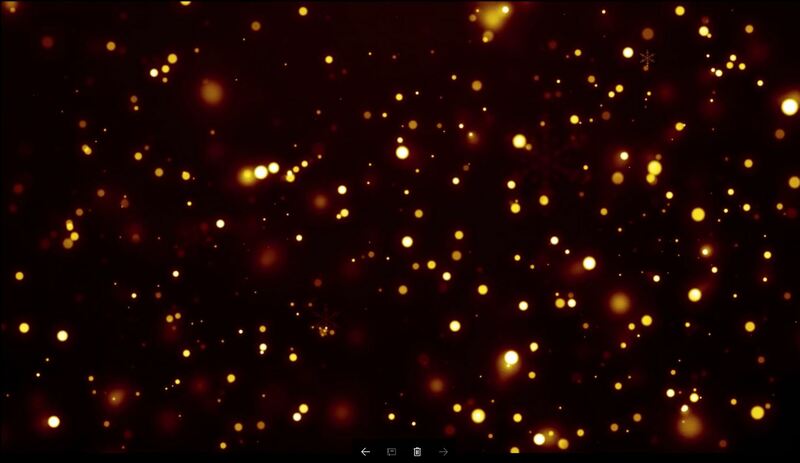 Our new Glow Glass collects light and will glow in the dark. 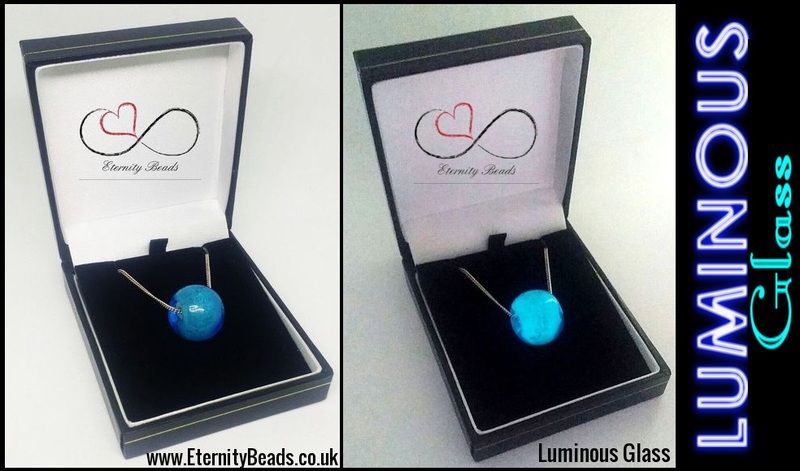 Available in Beautiful Blue which glows an iridescent Turquoise. 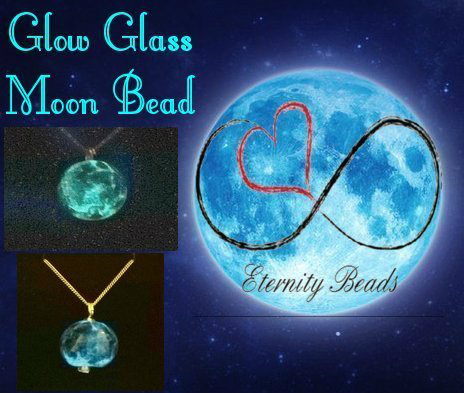 Perfect in our Suncatcher which will store sunlight during the day and glow in the dark at night. 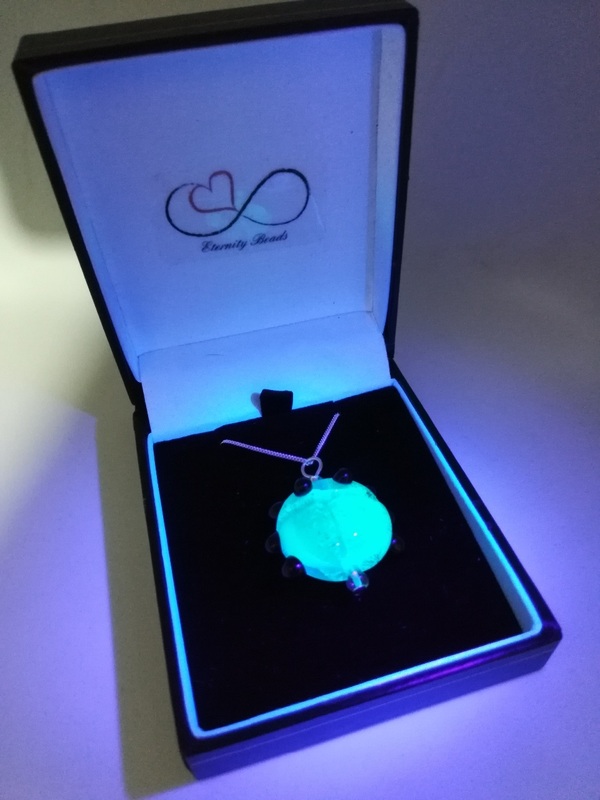 We include a free a U.V Torch key ring with all our luminescent glass. 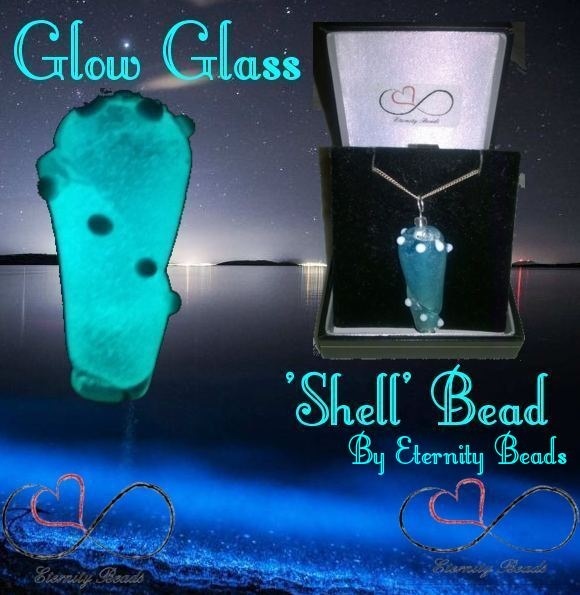 We can also make Glow Glass jewellery without ashes. Please contact us for more information. 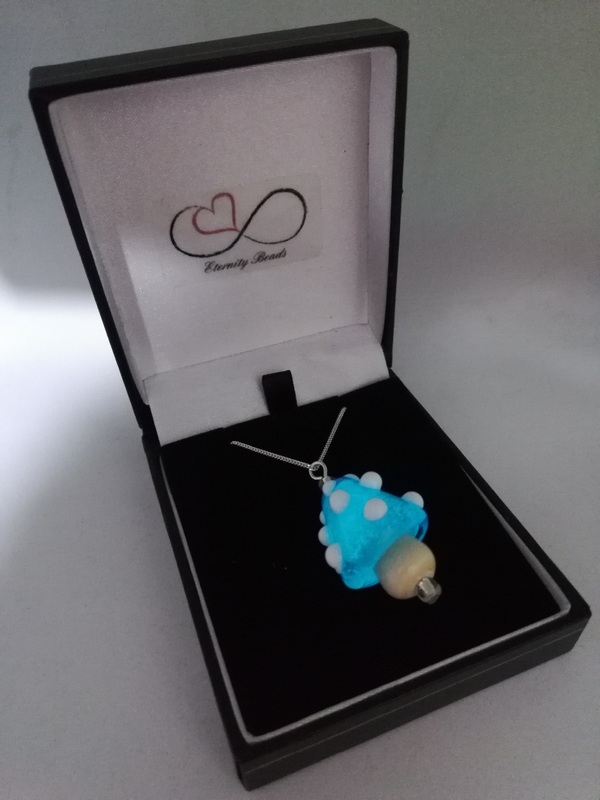 Glow Glass Pendants Available In Novelty Designs , without Ashes.